Lindsay's Book Chat: LAST DAY Romantic Suspense Novels for just $3.00! Perfect Holiday Reading! LAST DAY Romantic Suspense Novels for just $3.00! Perfect Holiday Reading! 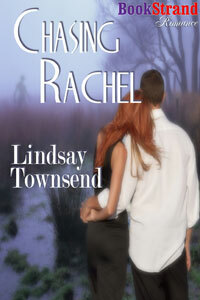 For TODAY, my 2 romantic suspense novels, CHASING RACHEL and A SECRET TREASURE are just $3.00! CHASING RACHEL is 0.99 cents for the next 2 days from Bookstrand. Excerpt - Him again. She drew back behind the veil of hanging folds. How on earth had this biker found her? What the blazes did he want? Recalling that she’d shut the garage and locked the front door, Rachel watched the stranger coast and park his softly idling grey bike by the roadside. Swinging a rucksack off his back, cradling it over the garden gate, he stalked inside, his long stealing movements a blur against the blue-black sky. Taller in the evening shadows, he ranged up to the farmstead and clattered the knocker. Rachel heard his voice through the opened letterbox and frowned as the door rattled but held fast. Someone who’d changed. As he backed up a step to lean under the lintel and peer in at the kitchen window, Rachel caught the tumble of an Arran sweater. Tan trousers covered the rest—nothing dark, nothing threatening. When she’d visited Kestrel House last month, several of its members had been absent. Including a youthful rival she’d not seen since they were fourteen, when she and Mike Horton had been joint firsts in the same grammar school class. Staring down at the stranger crowding her doorstep, Rachel recalled that he’d been working near drainage ditches. Michael Horton at Kestrel House was an environmental archaeologist. Even so, was it possible? Had that irritating, opinionated scruffbag grown so much? Astonished at the idea, Rachel felt her lips silently forming his name. Amused—if this was Mike, he’d failed to recognise her, too—she made a decision. Whoever he was, she needed to find out how this man knew her, why he’d called the day she’d moved down to Devon. What was so urgent? She banged her palms under the frame and the window shrieked open, whistling cold air into the room. The stranger lifted his head. He’d taken off his helmet, revealing a face she did not know. No sign of Mike’s guileless, impudent, mobile features, only the bold colouring and a certain gleam of curiosity in those heavy-lidded eyes. If there’d ever been youthful waves in that collar-length light brown hair they were gone now. Twilight revealed no freckles under the cheekbones, only shadows, a long forehead, thick, steeply arched brows, a sensual mouth. He had an arresting face, an actor’s—or an assassin’s, with narrowed eyes the colour of gunmetal. “Oh, for God’s sake—” The man’s protest turned into a muttered curse as a pager went off in his hip pocket. Fumbling off the bleeper, he glanced up again at her then reached into the rucksack. Rachel scrambled to her feet, striking the bulky tallboy with her shoulder on her way up. Running downstairs and outside, she heard the Norton rumble away and found a wine bottle left on the path. Excerpt - They made good time along the coast road, passing red hibiscus hedges, rocky scrub, tiny churches and roadside shrines. Hay was being turned in some of the fields, and Eve waved to the black-garbed women, feeling a little guilty that she was enjoying herself while native Rhodians were working. ‘Our holiday,’ Eve corrected him, laughing. ‘You sculpt?’ Eve was astonished. Knowing already that Julio’s mother was a widow, Eve felt sorry again, especially for Julio and his sisters, Teresa and Bianca. Then the pleasure of the moment raced in her afresh as, giddy with happiness, she bowled along with Julio, her man, who thought she was pretty. A few more miles passed, with the wooded mountains swinging away into the distance as the bike droned across a large plain. Then, suddenly, they saw the sea again, and Eve gasped. ‘What is it?’ Julio called. had kept her headsquare on so that her whipping blonde hair would not blind her or her companion. When they sat together she felt even closer to him, almost skin against skin. She traced the contours of his flesh through his cotton shirt with her fingers, pretending to brush away dust from his tensed shoulders. laughed in return, reveling in being a tease.